Status classification of partner acordiing to sector parimeter, loan disbursement, loan reimbursment, loan arrears, remaining loan and grace period is very important in anticipating the case in PT. Angkasa Pura I. Problematic credit is very unbeneficial for the PT. Angkasa Pura I because it will disturb the economy condition of a company and will affect the next small and medium enerprises (SME). To solve this, the reserch uses Multinominal Naive Bayes to method to classify the partners status in the PT. Angkasa Pura I according to the parimeter that is divided into 4 clases namely smooth class, less smooth class, doubted and jammed class. The process used was classification process where it calculated probability value and the atribute of the partner. The data used in this research is consisted of 148 that taken from 2012-2015. The final result, after the classification is done, the class probability value that was taken randomly is gained, with the resuld to system test with 5 times of testing data division that is taken randomly, it is gained the accuracy as big as 86,56%, precision is as big as 73%, recall is as big as 73% and F-1 Measure is as big as 73%. Bustami, 2013, Penerapan Algoritma Naive Bayes Untuk Mengklasifikasi Data Nasabah Asuransi, TECHSI : Jurnal Penelitian Teknik Informatika, Vol. 3, No.2, Hal. 127-146. Jiang, L., Wang, S., Li, C., Zhang, L., 2014, Structure extended multinomial naive bayes, doi:10.1007/s10115-014-0746-y, diakses 11 mei 2017. 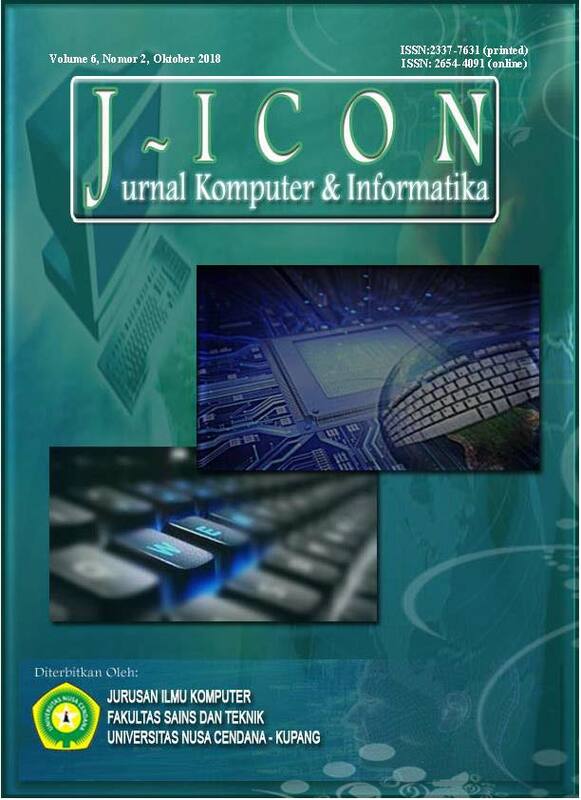 Raymond, McLeod, J., 2001, Sistem Informasi Edisi 7 Jilid 2, Prenhallindo, Jakarta. Saleh, A., 2014, Implementasi Metode Klasifikasi Naïve Bayes Dalam Memprediksi Besarnya Penggunaan Listrik Rumah Tangga, Yogyakarta.